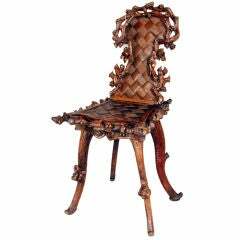 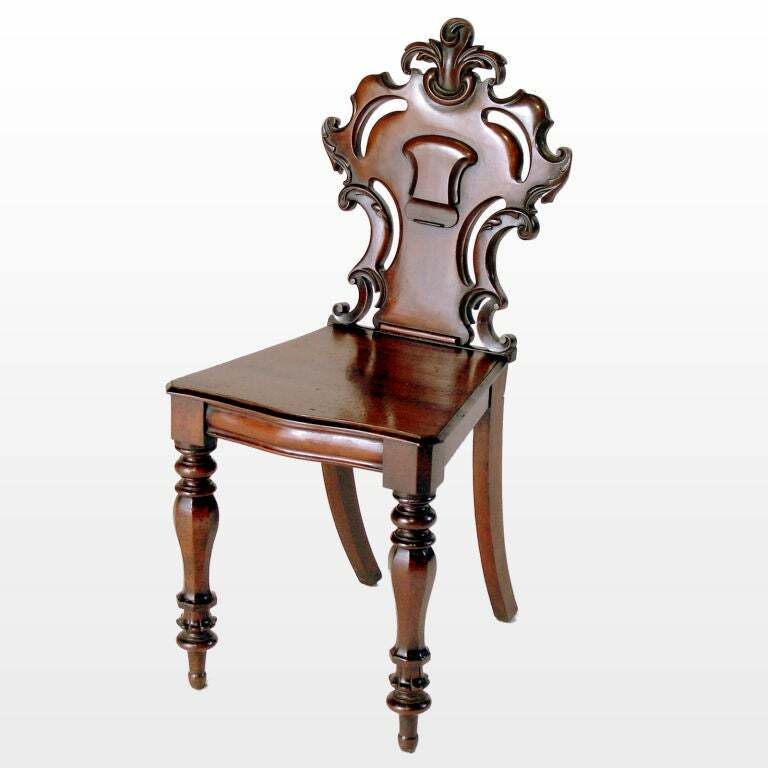 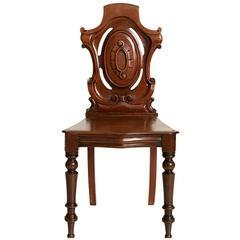 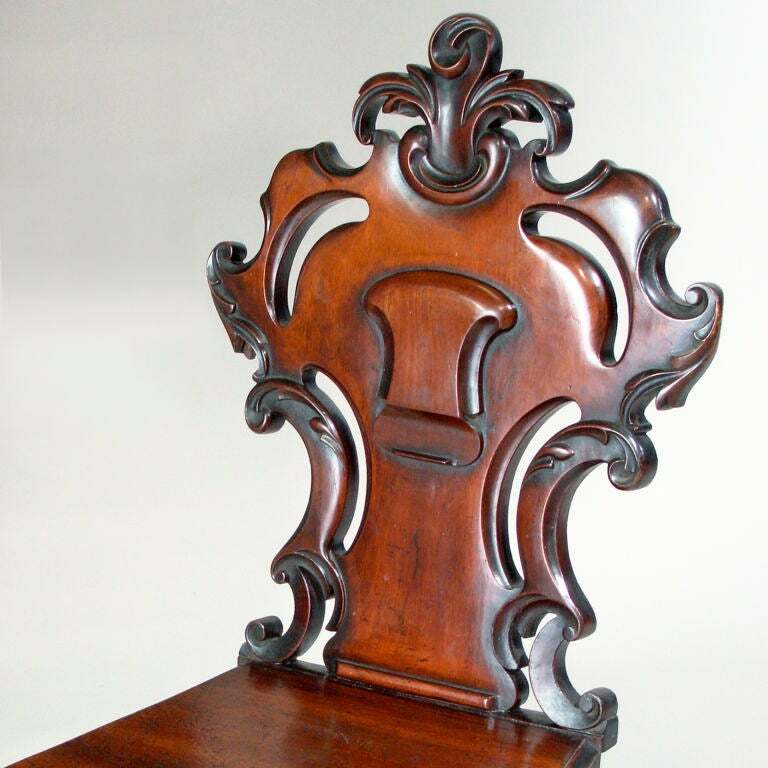 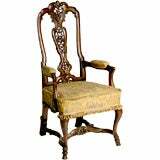 A good single English mahogany hall chair of solid walnut with finely detailed scroll work. 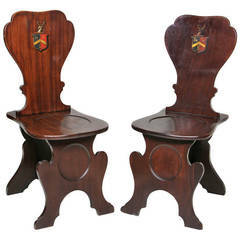 Bearing the arms of Green , of Wilby , Co. Sussex . 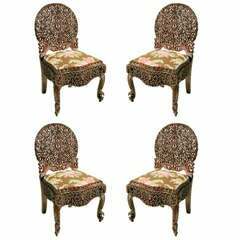 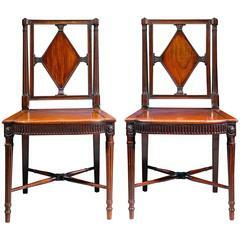 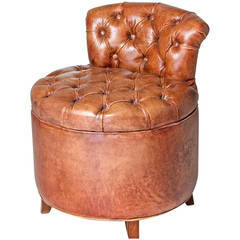 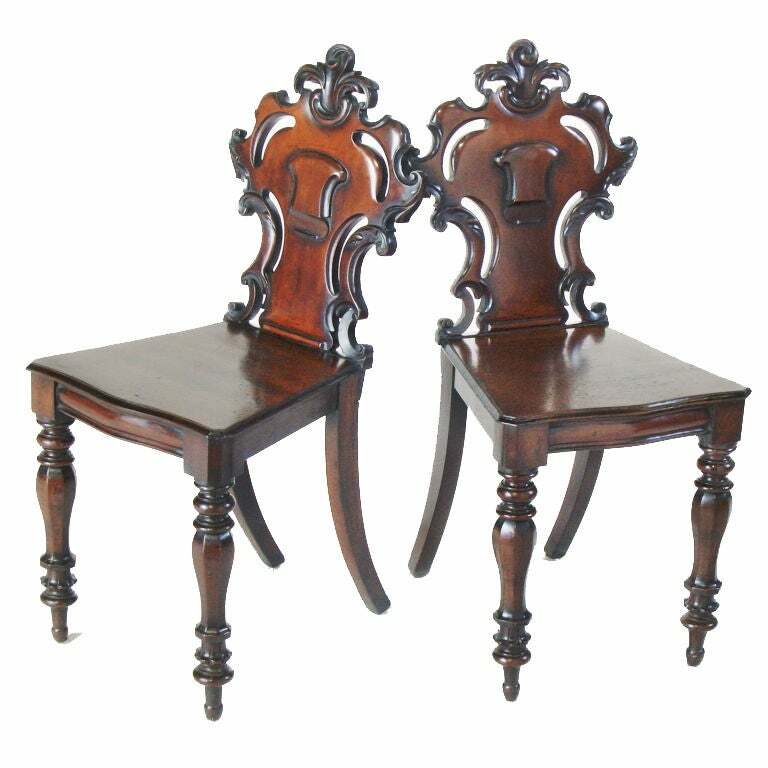 Each with a shaped back with central painted crest and shaped panelled seat , shaped arched legs.